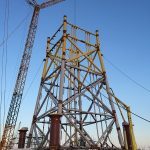 At the beginning of 2015, Sea and Land Project Engineering Limited was awarded the Detailed Design of the Veja Mate Offshore Substation Foundation Structure by constructor Iemants Staalconstructies of Belgium. 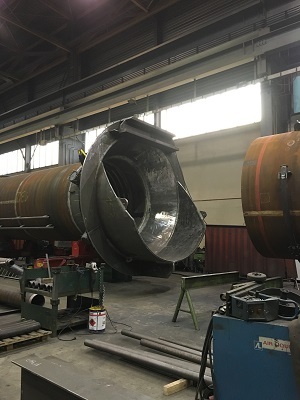 The Veja Mate Offshore Substation Jacket was designed and constructed according to the Bundesamt fur Seeschifffahrt und Hydrographie (BSH) Standard (Federal Maritime and Hydrographic Agency of Germany). 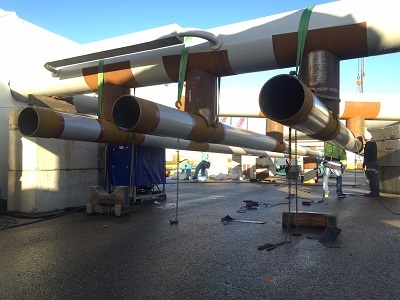 The 1800 Te Jacket structure supports 15 cable j-tubes and two boat landings, with associated access infrastructure. 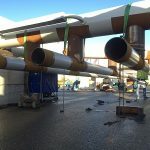 The structure is supported on 4 x 2.438 m diameter tubular pipe piles connected to the Jacket with reinforced grouted pile-sleeve connections with yoke and shear plates. 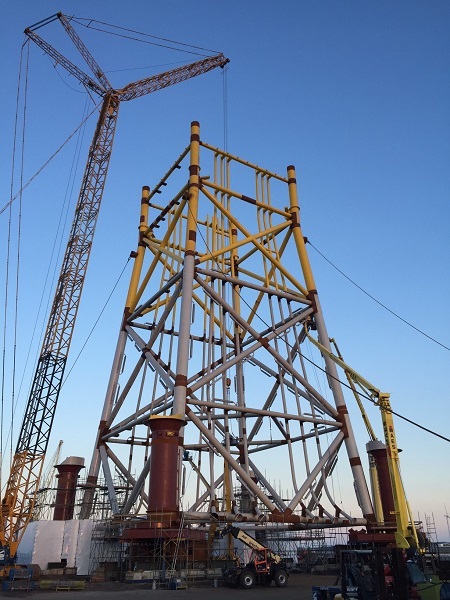 The pile design included the assessment of pile capacity in accordance with the ICP design method and cyclic degradation of the 63m piles in dense sand subject to extreme storm loading following the recommendations of Jardine and Standing (2012). 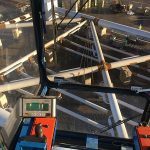 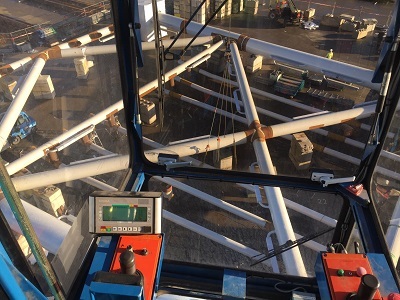 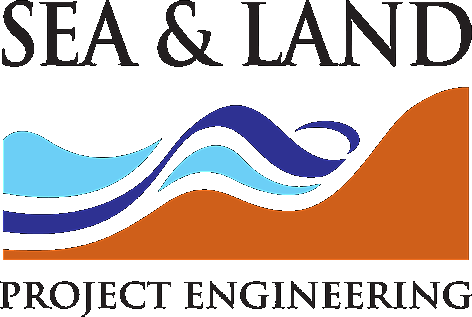 Sea and Land Project Engineering Limited was commissioned to provide specialist support for the BSH-compliant design and structural analysis for in-place, fatigue, ship impact, transportation, redundancy and on-bottom conditions. 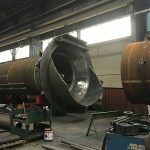 Our responsibilities extended to the pile and mudmat design in accordance with the BSH code requirements (DIN EN 1997, DIN 1054, DIN 4017 and EA Pfähle).